Whenever a familiar name pops up as being new to the Game of Thrones cast, it’s a shock. Mostly because we’d thought they’d run out of British actors we could easily identify a long time ago. 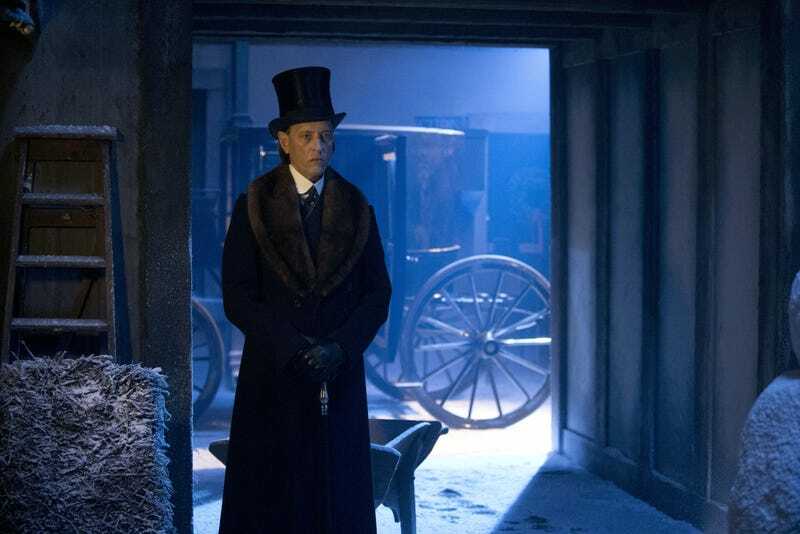 This week: Richard E. Grant. If you don’t recognize Grant ... you’ve never watched anything, ever. I congratulate you on using your very first computer and internet connection to somehow find your way here. In all seriousness, Grant’s been in Dig, Doctor Who, Downton Abbey, Girls ... and those are only a few from the last five years. He’s probably most famous for Withnail & I. Unfortunately for everyone — but mostly me — I first saw him in Spiceworld. Shut up, I was nine. Anyway, Watchers on the Wall found Game of Thrones as the most recent entry on Grant’s CV, which is usually a pretty reliable indicator. However, there’s been no official announcement and there’s no role or episode number(s) listed. So now it’s time for the patented Game of Thrones guessing game. Casting rumors have named Randyll Tarly, Aeron Greyjoy, Septon Meribald, Lord Karstark, and Smalljon Umber as characters potentially appearing in season six. He could be playing one of those or one of the other four billion smaller roles.